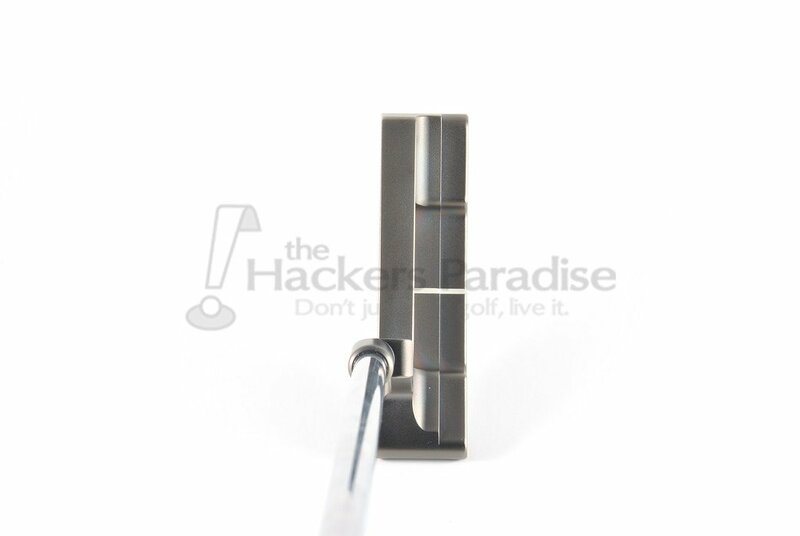 While Kronos is not a new brand to the readers of THP (the Mandala was reviewed here: https://www.thehackersparadise.com/kronos-putter-review/), they are still a lesser known brand in the world of golf, but are adamantly working to change that. Boutique putters have to walk the tight-rope of art versus function, and Philip Lapuz and company are negotiating that battle with a smile on their faces. The company has continued to create a well-rounded line of putters in multiple materials, while also stepping out with some truly amazing one-off custom designs that go toe to toe with anything else out there. For this review THP got the “Touch” model from their “Refined” series and the following represents the time spent with the putter. A classic design with a Kronos twist. Design and materials pay homage to the 1900s. Unlike its predecessors and contemporaries, this putter showcases highly precise milling, with minimal finishing required. The sharp lines and mill marks tell the story of the club’s crafting. Milling from a single piece of carbon steel is labor and materials intensive but necessary to create a soft seamless piece. A thick topline provides solid feel upon impact. The silver pearl finish refines and completes the putter. The Refined Series putters use 11L17 carbon steel. This leaded steel is naturally softer than stainless steel. Because carbon steel rusts the club is coated with a protective layer of nickel, chrome, and PVD (Physical Vapor Deposition). The coating combination has been tested to be more rust resistant than stainless steel. 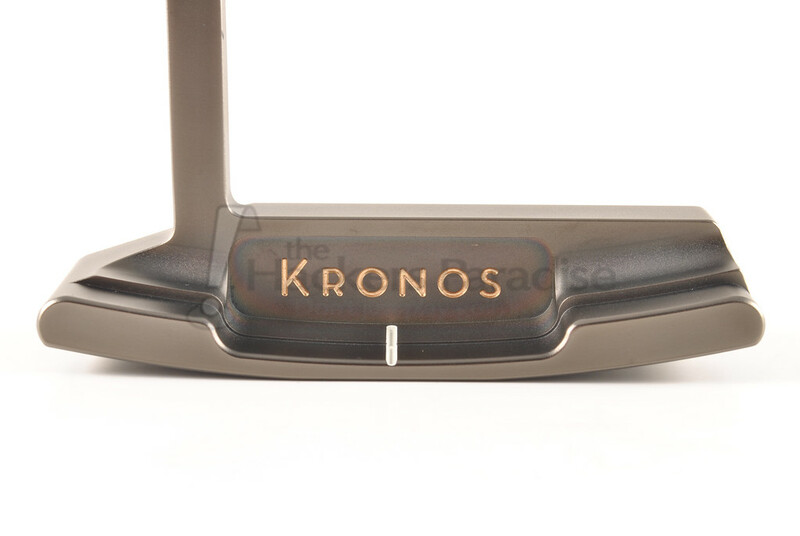 The slate color PVD is a unique color to Kronos putters that highlights the fine milling. 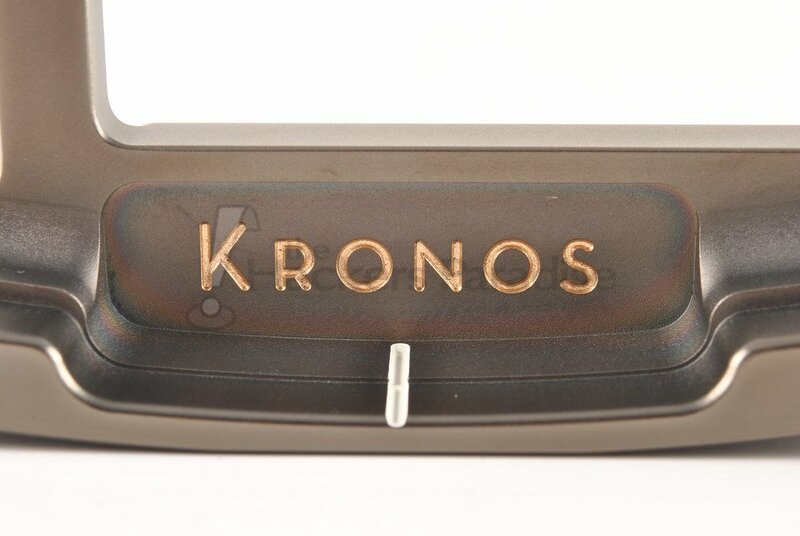 Kronos describes their “Touch” blade putter as a “classic design with a Kronos twist”, and that is spot on. Visually, it is clear the root design is framed around the Anser style that everyone has mimicked over the past several decades, but the Kronos version has a much squarer overall look to it. Despite the classic reference, there are several aesthetic features Kronos has utilized which stand out to make it their own. THP received the “Touch” putter from Kronos’ “Refined” series, which means this version is milled from carbon steel versus the stainless of the “Raw” series. Additionally, to maintain the carbon steel, Kronos has utilized a PVD finish on top of thin layers of nickel which has allowed for a maintenance free finish that will not affect the feel of the putter. The finish is referred to as “slate”, but it features a touch of bronze to it which creates a nicely unique appearance that looks stellar out in the sunlight. There are a few more unique features which stand out to the look of the “Touch” putter. 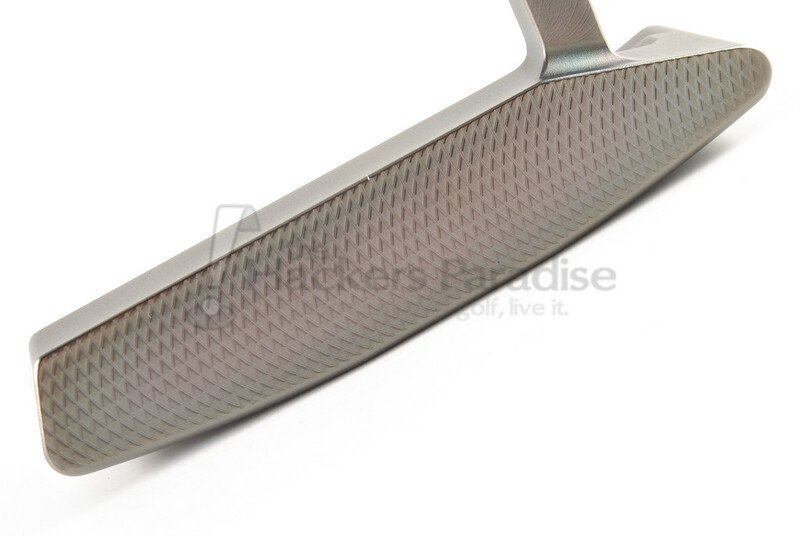 First is a noticeably thicker topline, at address it stands out as being wider than the typical blade putter but at the same time the more square bumpers on the flange make it look unique rather than distracting. The other visible standout is on the sole design, as with their other putters, the Touch utilizes a “Tri-Plane” sole and also a unique “Compass Scored” milling that ties it all together. 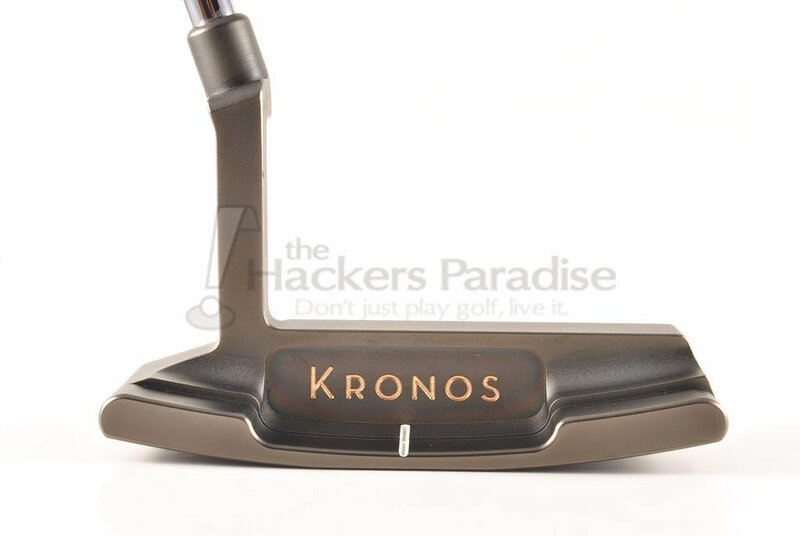 The thing Kronos does outstandingly well when it comes to looks, is they know that less is more to allowing the putter to speak for itself. While every single putter is hand finished, the goal is to allow the milling lines/marks to stand out and show the craftsmanship involved. It’s because of this that the company has gone light on the engraving and even lighter on the paintfill using just a touch of gold in the pocket logo. Finally, the companies uniquely “coffee” colored Iomic putter grip keeps with the high quality motif, but in a way that blends with the overall package rather than distract from it. The Touch has a lot going on design wise in order to create a “soft” sensation through impact, which so many associate with a high end milled putter. The use of Carbon Steel is certainly a factor here as it typically gives off a lower decibel sound/feel. To further tune things, Kronos created a thicker topline which puts some more mass behind the ball and cement that “plush” sound. Worth noting is the Compass Scored milling because, as we know by now, the amount of face that comes into contact with the ball has a direct correlation to the sound and vibrations that gets back to the user, and thusly impacting the feel. 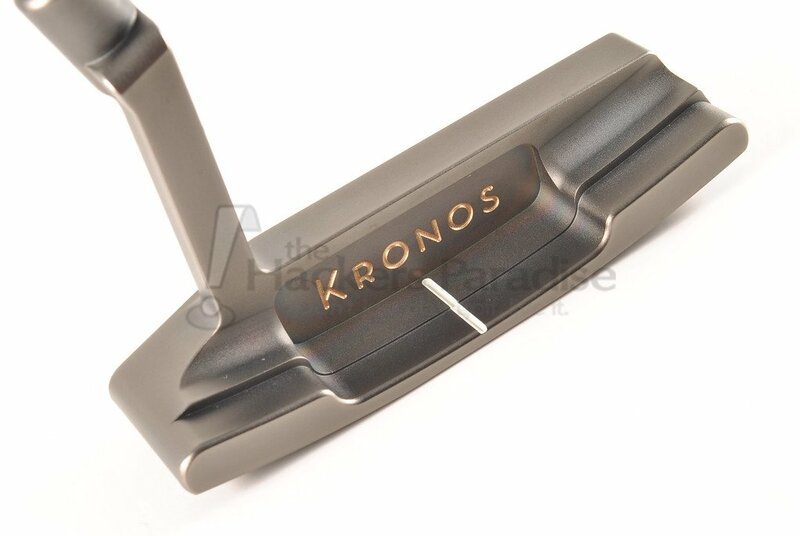 While this reviewer has owned and played a lot of high end boutique style putters, the Kronos Touch has every bit the “soft” sound/feel that one would expect given the price point and emphasis on materials, and more interestingly it has enough variation to it across the face even with the thicker topline to give the user ample feedback on misses versus pure strokes. Let’s be honest, a blade putter design, while offering nominal perimeter weighting, is not going to be the most forgiving putter option. Yes, the Anser style revolutionized putting because of the performance benefits it offered over traditional 8802 type designs, but when not utilizing insert or other similar technologies, a blade putter is a blade putter. That said, Kronos clings to the reality that the putter is the one club in the bag which can be more of a status symbol than any other. Golfers have, for the most part, always been willing to go a bit further into their pockets to roll something that stands out in a crowd, and the Kronos definitely stands out. The Touch has about ½ shaft offset, which will fit the eye of any plumber’s neck user. It also utilizes the traditional single flange alignment aid that does its job well enough. It is worth noting that the thicker topline stands out and makes the flange line look shorter to the eye than it might actually be. The Touch comes in three different weight options (340g, 350g, 360g) which do well to hit the preference range of modern golfers but still allow the headshape balance to do its job and gate freely through the stroke, with a 5’oclock toe-hang it worked well in review for slight to moderate arc strokes. With the Touch, Kronos is touting their “Pure Balance COG Certification”, in essence it is a step by them to ensure the siteline is balanced and placed directly with the putter’s center of gravity (COG). While this may seem like a given, one would be surprised with the amount of putters who place the siteline in the middle of the head, but the COG, and thusly the “sweet spot”, is actually slightly heel-side because of the design. Is the “Certification” here a bit of a marketing stretch? It can definitely be seen as such, however at least this is a measureable claim since the balance of a putter head can indeed be checked and visibly identified. The roll is precisely what one would hope, it is a standard loft and lie (71°, 3°) which can of course be bent to each users fit, but with that there was an immediate forward roll time which was devoid of skidding (remember, individual putting idiosyncrasies matter, so results can vary). As mentioned in the sound/feel section, misses are met with a change in feedback, and they also resulted in distance/pace drop-offs and directional variances in line with a blade putter design. There is a good deal of balance in the design, but it is not as resistant to twisting as a mid-mallet or mallet would be. The unsung is the application of the “Tri-Plane” sole which Kronos uses in all of their designs. This truly helps the user sole the putter properly each and every time, which means less of a propensity to miss heel/toe side because of an elevated toe at address (which most amateurs are victim of). It is a little feature that yields much larger benefits than one might think. Though not the first time THP has been able to review one of Kronos’ putter designs, the consistency in performance seen across the different head shapes should not be undersold. The company has stood by its belief that putters are just as much form as they are function, and to truly offer something special, corners cannot be cut. 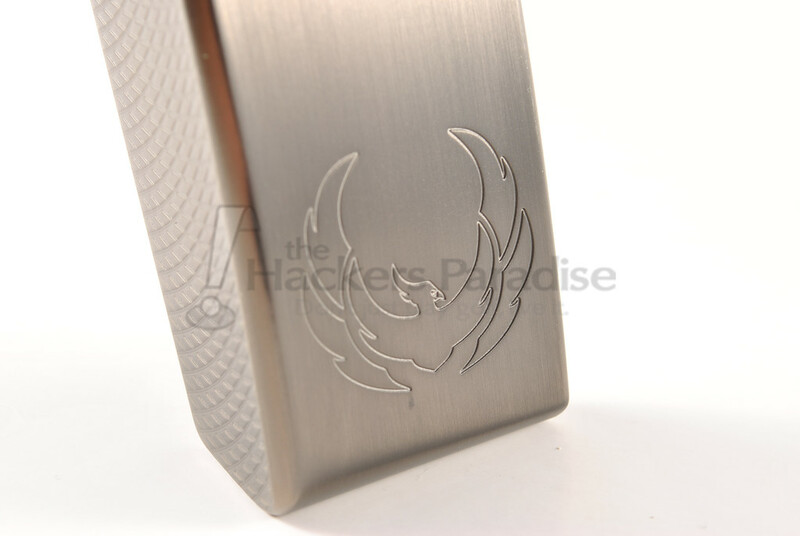 The Touch putter is a prime example of wanting to offer a massively popular design style because golfers are fickle beasts, but that it can in fact be done in a manner that makes it unique while still checking all the boxes. Kronos is intent on growing their name, both overseas as well as stateside, and as is the case with so many smaller brands, finding ways to get the products into hands will be the ultimate key to their future. 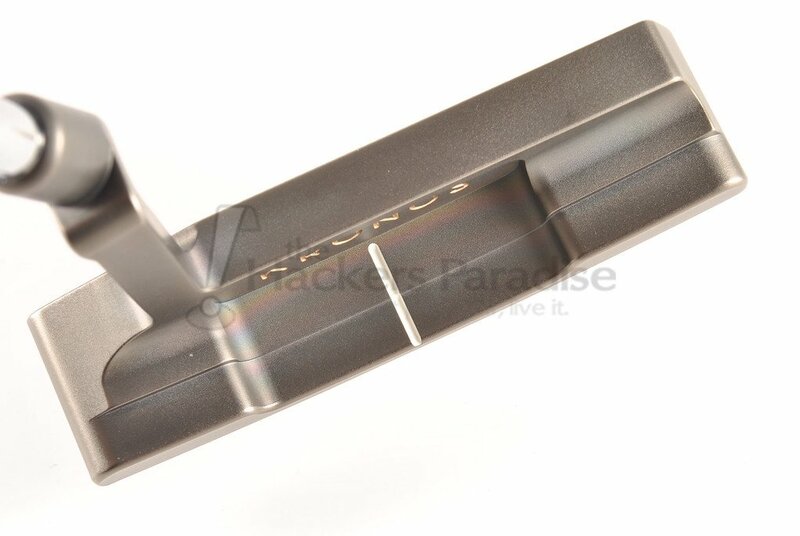 More information on the Touch and the rest of Kronos Golf’s putter offerings can be found on their website at www.KronosGolf.com. Great review James! 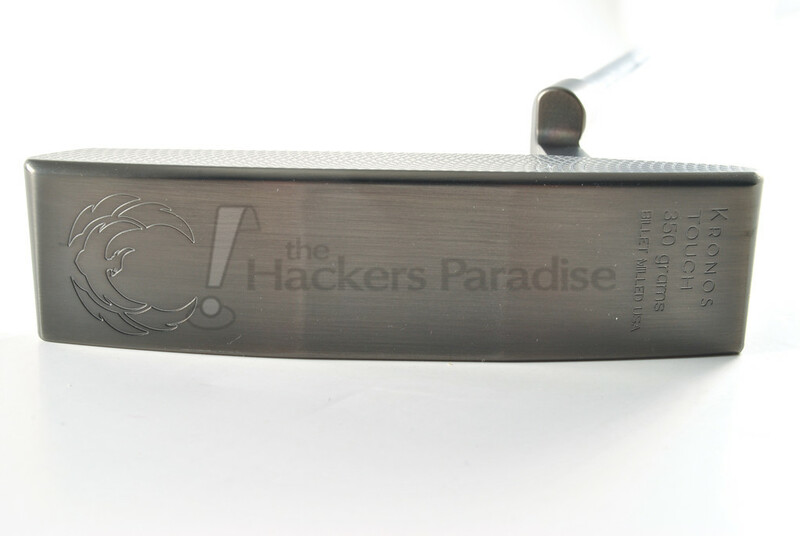 This is a very nice looking putter, even against other boutique putters. Kronos seems to have put a lot of thought into the product design, and it shows. Nice looking putter. Wow on the price tag. They have six really sharp putter designs I like. Really enjoyed the review. That finish is to die for. As someone that is not a fan of a plumbers neck, I actually had to go back up to make sure it was actually a PN when I saw the at address shot. With the offset only being 1/2 shaft, it does not appear as noticeable as most. Really a through review – Beautiful putter. I can just imagine that “Buttery” feel this putter gives. Fantastic review James. Your reviews are great but definitely stand out when you do putters. 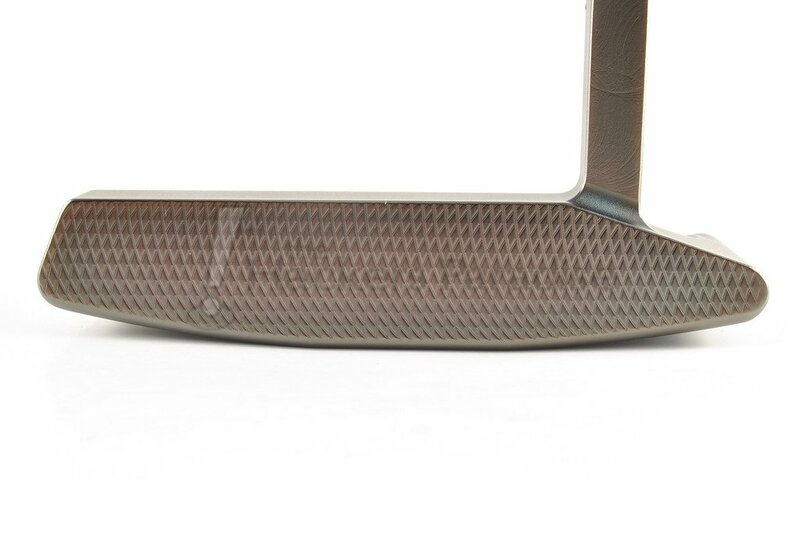 The Compass Scored milled face looks great and if it is as soft as you say, I definitely want to try it. The Tri plane sole also sounds like a win if it helps you sole it correctly each time. Solid review James and a great design on a classic putter shape. The lines are clean and one that looks to inspire confidence. You mentioned that the balance of a putter head can be checked. How is it done?